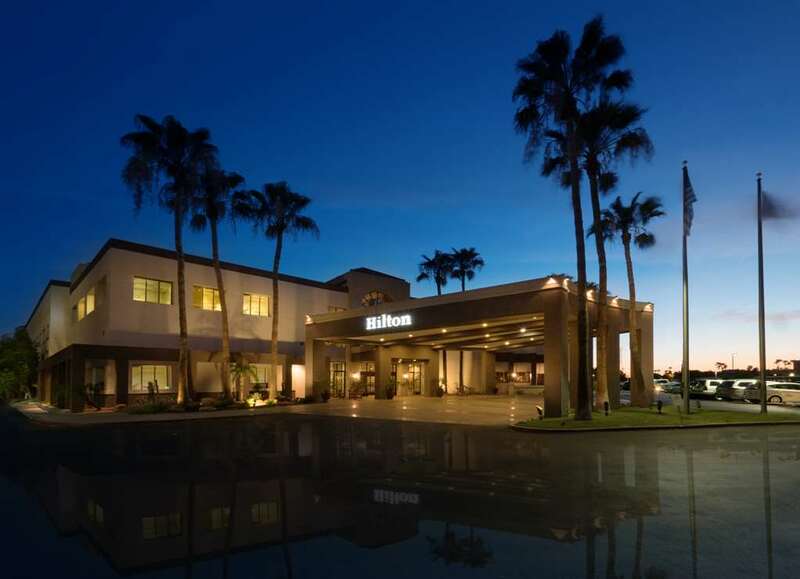 The Hilton Phoenix Airport hotel is conveniently located 1.5 miles from Phoenix Sky Harbor Airport. Minutes from the hotel you will find entertainment venues and city attractions including the Civic Plaza and Convention Center Chase Field USAir Arena Tempe Town Lake Arizona State University and eclectic dining and shopping on Mill Ave. Spacious guestrooms at the Hilton Phoenix Airport are decorated to reflect the impressions of the desert with deep dark southwestern color schemes and amenities many featuring balconies that overlook the sparkling pool area. The guestrooms offer many in-room amenities that include high-speed internet access /an additional charge may apply/ dual line access telephones with voicemail work area lap-top sized safe and in-room movie rentals. For the more discriminating travelers the Executive Level upgrades are available and include complimentary continental breakfast and a complimentary evening reception in the private Executive Lounge. Onsite recreational activities at the Hilton Airport hotel in Phoenix Arizona include a fully equipped fitness center as well as Hilton*s In-room Fitness Program an outdoor heated swimming pool and hot tub. Business travelers can access the 24-hour Business Center for online access copies fax and printers. Wireless internet is also available in the lobby area and food outlets. Hilton Phoenix Airport hotel guests can enjoy casual southwestern flare in Rennick*s Restaurant open daily for breakfast lunch and dinner. The Rimrock Bar - Grille features lively **Happy Hour** specials everyday from 1100 am until midnight. With over 11 000 square feet of versatile meeting space this Phoenix Arizona hotel can accommodate virtually any get-together from an intimate meeting in a Boardroom to a gala event for 400 in our Grand Ballroom. Travel should take you places. Rimrock Bar - Grille: As a Phoenix Airport hotel we understand our guests arrive and depart from the airport at all hours of the day. To best accommodate our hungry travelers Rimrock Bar - Grille serves a full menu until midnight seven days a week. Unwind with nightly drinks specials and hearty American cuisine. Rennick*s Restaurant: Join us for breakfast lunch or dinner at Rennick*s Restaurant. Specializing in continental cuisine with a southwestern flair guests will love savoring the chef*s delectable artful creations. Room Service: With in-room dining we give you the option to eat on your own schedule and in the privacy of your room. Available until midnight and offering an American cuisine your taste buds will thank you.